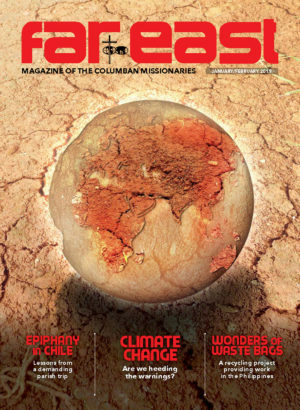 St Columban is the patron of the Missionary Society of St Columban. He is recognised as one of the great pioneers in western European civilization. Columban was born in Leinster in 543. He left Ireland to proclaim Jesus Christ and His Gospel to Western Europe, where people had fallen into barbarism. 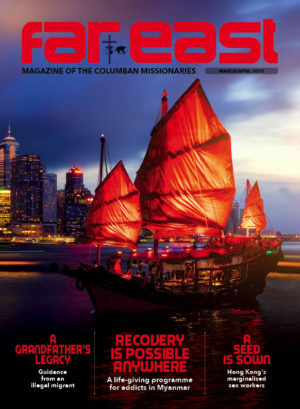 Amid hardship and persecution, Columban and his followers founded monasteries throughout France, Germany, Switzerland and Italy. Columban’s great contribution to the Catholic Church was the new spirit in European monasticism he had instilled, a spirit of total commitment to Christ and to the values of the Gospels. His denunciations of the immoral practices of the royal court and the general populace led to his exile from France and Switzerland. In silence and study, in work and in prayer. And the depth of his prayer brought him clo-ser to God. He sailed with twelve brothers, with God as their guide. To fair Annegray, to Luxeuil, and Fontaine. the rich and the poor, the sick and the lame. And exile and loss, were the price that he paid. Where at last he commended his spir-it to God.